The implied warranty of habitability plays an important role in our understanding of the relationship between tenant and landlord; it helps to define the parameters and requirements of contracts between tenant and the owner. In doing so, the implied warranty of habitability is meant to ensure that a home or rental unit is in a livable condition. 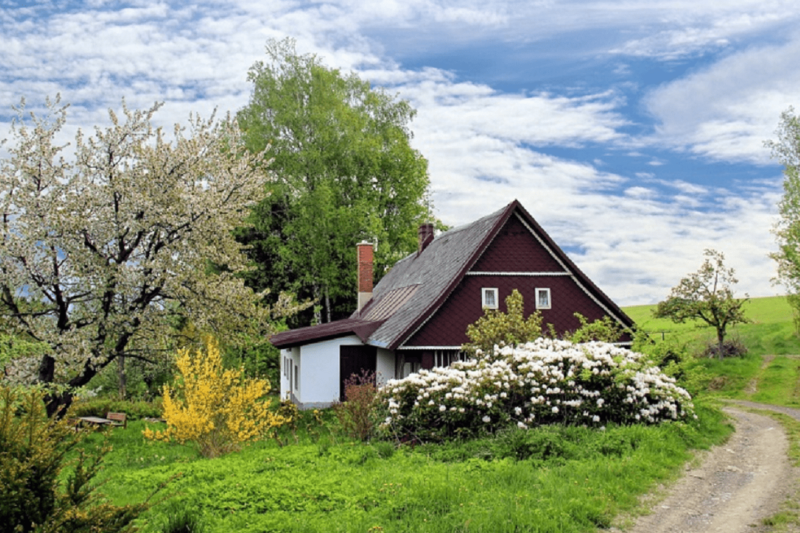 In this article, we’ll take a look at what the warranty of habitability is, how it developed, and what differentiates the warranty of habitability from the previous landlord-tenant law. When someone hears about the warranty of habitability, their first question is usually “what is the implied warranty of habitability?” This is understandable, given that the implied warranty of habitability isn’t exactly well known. Most renters have probably never heard of the implied warranty of habitability, despite the fact that it provides important safeguards for tenant’s rights. In order to gain a better understanding of what the implied warranty of habitability is, it is helpful to understand what state of affairs existed prior to the adoption of an implied warranty of habitability. Before the implied warranty of habitability became precedent, relationships between tenant and landlord were governed by common law that heralded back to the early modern period in Europe. This may be surprising to some people, but much of our legal system and practice stems, at least in part, from early European traditions. Common law is a form of law based on legal precedent. This means that in order to adjudicate a case, a judge may look back on past decisions by the courts and refer to precedent. This was the case prior to the implied warranty of habitability. Prior to the advent of the warranty of habitability, the relationship between tenant and landlord was held to a different standard. Under common law, the relationship between the landlord and tenant developed out of property law. Obviously, life in Europe during the Middle Ages was vastly different than today. During the Middle Ages, society was largely agrarian, living off of the land through subsistence farming. During this time period, there were very few landowners. As such, landowners would typically lease a lot of land to an individual or family so that they could raise crops on that land. The property law that leases were based on during the Middle Ages considered the lease as a sale of the land for a period of years. Because of this, the landlord didn’t have any obligation to ensure the property was habitable. There are other key differences between property leases during the Middle Ages and modern property rentals. The most significant of these is the fact that during the Middle Ages, farming and cultivation was central to life in general. Property leases reflected this. A property lease during the Middle Ages was primarily concerned with the land that was being leased, not any particular building or domicile on that land. Landowners leased premises with the understanding that the value of the lease was based on the land itself. In contrast to this, modern rentals have little to no tie to the land on which the rental is based. Rather, modern rentals are for the sole purpose of habitation. The land itself doesn’t usually provide value to the tenant, nor does it provide a use value, such as through farming, in the same way that property used to provide value to tenants in the Middle Ages. A final factor contributing to the development of the implied warranty of habitability was the fact that the property law developed before contract law. Contract law has a feature known as mutually dependent covenants. This means that both parties in a contract must meet the terms of the contract in order for it to be valid. To illustrate this, consider two merchants exchanging cash for goods every week. Their contract is dependent on one party delivering cash, and other party delivering goods. If the one merchant simply didn’t deliver goods, there would be a breach of contract and the other merchant wouldn’t be required to continue delivering cash. This is important because the concept of mutually dependent covenants wasn’t applied to the relationship between landlord and tenant prior to the advent of the implied warranty of habitability. The implied warranty of habitability began to supplant common law precedent during the 1960’s and early 1970’s. During this time a number of higher courts in different states had begun to see problems applying common law derived from the Middle Ages to landlord-tenant agreements in the modern world. Tenants no longer worked the land they rented, and in reality most tenants didn’t rent or have access to land at all. At the same time, there were other key differences between the situations tenants found themselves in during the 1970’s and situations a in which a tenant might find themselves during the Middle Ages. Whereas in the Middle Ages tenants typically leased property for many years or even a lifetime, in the modern world residential leases were much shorter. This meant that there was really no economic incentive for the tenant to spend his or her own money to perform repairs on a dwelling he or she would leave in a short period of time. The 1960’s and 1970’s was a period of broad social upheaval in the United States. One aspect of this upheaval surrounded urban housing conditions and tenants’ rights. By implementing the implied warranty of habitability, the courts sought to redefine the nature of the relationship between tenant and landowner from one dating back to the feudal era of the Middle Ages, to one more appropriate to the 20th century. This new relationship flattened the power structure between landlord and tenant. This was done by shifting the fundamental basis of the agreement between landlord and tenant from ancient property law to modern contract law. Contract law was in wide use within the United States by the mid 20th century, and had embedded principles for determining the equity in a transaction, as well as dispute settlement mechanisms and a number of other features that would be beneficial to settle disputes between landlords and tenants. Courts found that contract law was a more appropriate vehicle for defining the relationship between tenant and landlord because rentals were more akin to purchasing a good than they were purchasing a plot of land. The key component of the implied warranty of habitability that created greater equity between landlord and tenant was the idea of mutual dependability. The implied warranty of habitability tied the tenant’s obligation to pay rent with the landlord’s obligation to provide a residence that was suitable to live in. Additionally, under the implied warranty of habitability a landlord wouldn’t be able to evict a tenant for nonpayment if the tenant refused to pay rent on the grounds that the residence was unsafe or unlivable. Prior to the implementation of the implied warranty of habitability, landlords merely needed to go to court to evict a tenant for not paying rent. The process was streamlined and resulted in little recourse for the tenant themselves. The implied warranty of habitability changed this by giving the tenant legal backing for nonpayment of rent provided the residence was indeed not safe to live in. It has been decades since most states adopted the implied warranty of habitability. In fact, only one state in the country, Arkansas, doesn’t use the implied warranty of habitability. Some states only recently enacted an implied warranty of habitability. For example, Colorado enacted the warranty of habitability act in 2008. In California, the implied warranty of habitability became law in 1974 as a result of Green v. Superior Court. The implied warranty of habitability in California can be found in California Civil Code § 1941.1 and 1942.3. Because of the complexity of the implied warranty of habitability in practice, it is highly recommended that the parties seek legal advice in situations when a tenant and landlord are in dispute. Depending on the state, there are requirements that must be met before tenants can exercise extreme measures like non-payment of rent. Both landlords and tenants engaged in a dispute that involves the implied warranty of habitability should seek legal advice from a qualified attorney specializing in real estate and /or landlord-tenant law. A real estate attorney will be able to provide guidance and suggest the most effective legal course of action, while helping you avoid liability that could be costly in the end. To learn about how the Implied Warranty of Habitability affects your landlord-tenant situation, contact an experienced Residential Real Estate Lawyer at Bremer Whyte Brown O’Meara.